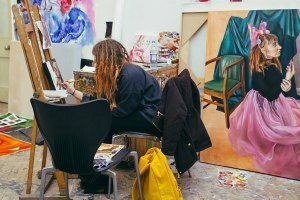 Our Fine Art degree gives you the support of professionals to choose your own creative journey and flourish as an artist, curator, teacher or working in other creative fields. 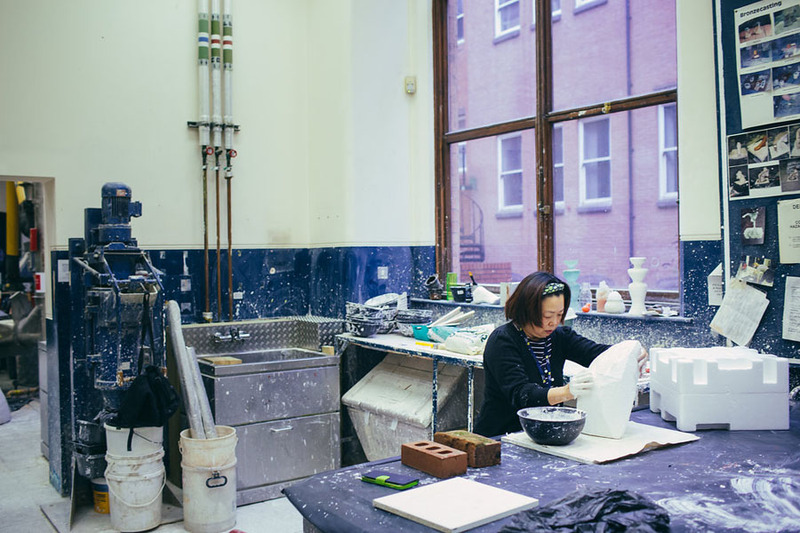 Situated in our historic Grade I-listed art school, based in Margaret Street, you'll enjoy the freedom, space and support needed to establish your own artistic voice. There are no set pathways to learning and this means you’ll have genuine freedom to experiment in any media appropriate to your ideas. This course encourages you to experiment in or across painting, sculpture, printmaking, drawing, photography, installation, film and video. You'll be supported throughout your studies by our experienced and talented tutors and technical staff - all professional artists in their own right. 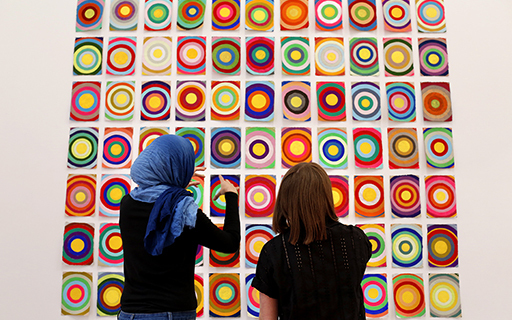 As well as learning important skills for your future career development from our practical and professional practice modules, you’ll also be introduced to the context and curation of art. 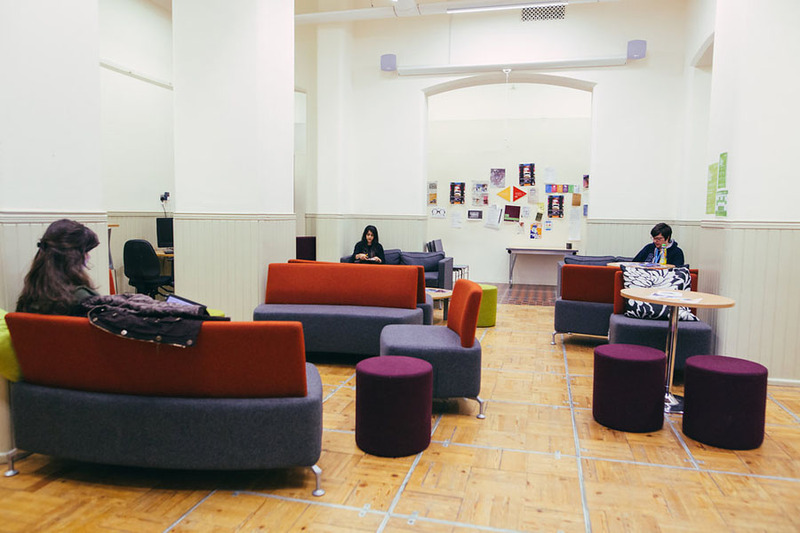 You will enjoy our close links to the Ikon Gallery, Ort Gallery, New Art Gallery Walsall and Birmingham Museum and Art Gallery and be inspired by the studios and galleries set up by former students, such as The Lombard Method, Grand Union, Stryx and Ort Gallery. The course concludes in a public professional exhibition of your practical work supported by individual websites. The opportunity for the artist to develop from start to finish has been proven, hard work is rewarded and the level of work created is limitless. More importantly don’t put yourself in a box. Everything is at your fingertips. 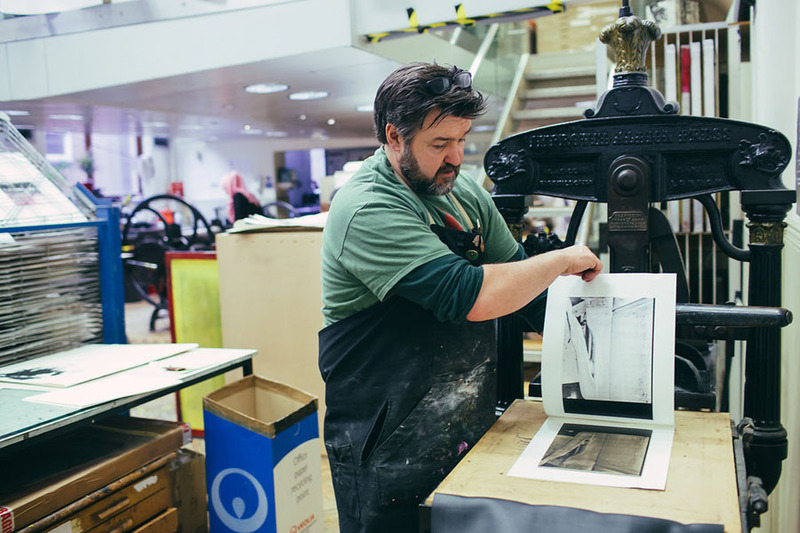 Birmingham School of Art is celebrating 130 years of art at Margaret Street – its Grade I-listed building has been the inspiration for countless artists and practitioners of international reputation over the years. 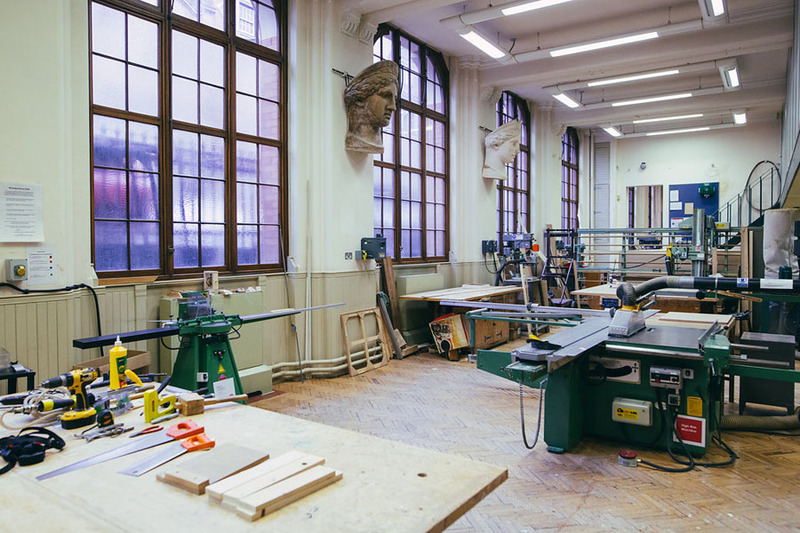 There has also been a multi-million pound investment in facilities for photography, casting, woodwork, metalwork, silk screen, etching, 3D printing, laser cutting, and printed and constructed textiles. 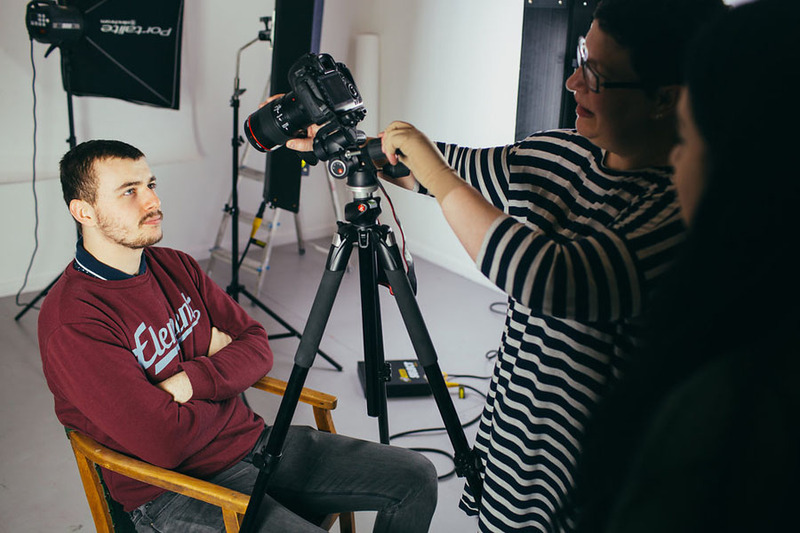 You'll instantly become part of the Faculty of Arts, Design and Media’s 6,000-strong student community, and you will be supported by our highly experienced staff, who are all nationally and internationally active artists. You will curate exhibitions, have the opportunity take part in work placements and exchanges, and go on national and international study visits. Each year the onsite project space, the International Project Space (IPS), will be the hub for a series of residencies, exhibitions and events, and we will work with a number of local, national and international partners to deliver a range of projects with our students. 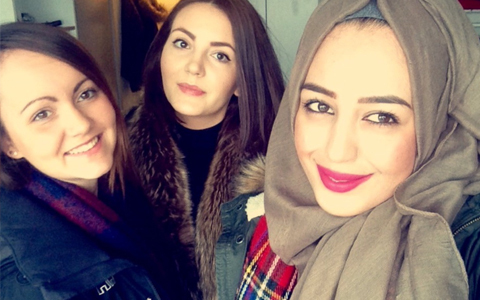 We join two students, Hannah and Taiba, on a tour of some of Birmingham’s key art establishments that are only a walk away from the School’s Margaret Street home. GCE A Level/ AS Level BBC at A-Level or 112 UCAS tariff points from A/AS Level with a minimum of 2 A-Levels. Irish Leaving Certificate (Highers) Pass the Irish Leaving Certificate with a minimum of 112 tariff points, achieved in four Higher level subjects. Scottish Higher/ Advanced Higher Where three Advanced Highers have been taken achieve a minimum of grades CCD. Where a combination of Highers and Advanced Highers have been taken you must achieve (grades of CD in two Advanced Highers plus grades of CC in two Highers). Where only Highers have been taken a minimum of (BBCCC) are required. In addition to qualifications, applicants will also need to submit a good digital portfolio. If you are a UK home-based student this can be submitted digitally or you can physically bring it in. Please see our portfolio guidance page for tips and advice on putting your portfolio together. The first year introduces you to practice and context, workshop methods through projects, seminars and field visits. You will begin to develop your own language, interests and understanding to enable you to establish a practice. 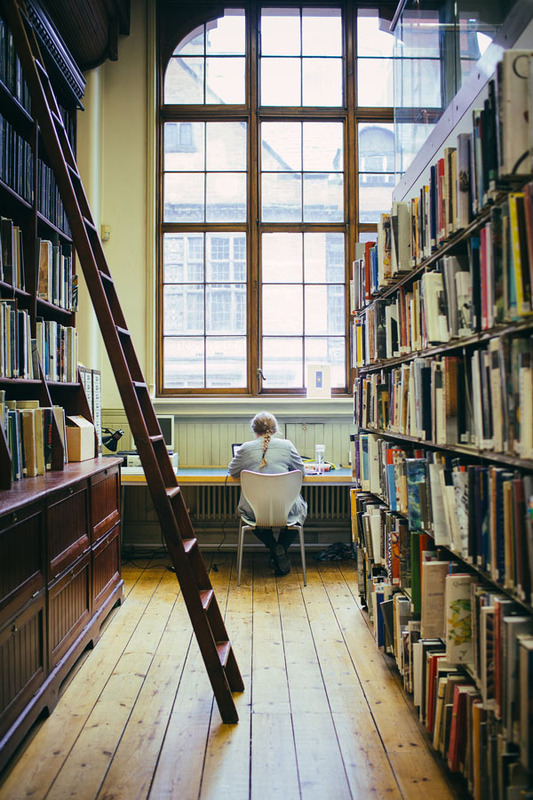 Your practice is supported by presentations, seminar discussions of historical and contemporary themes and ideas, and collaborative practices with other students in the school or faculty. 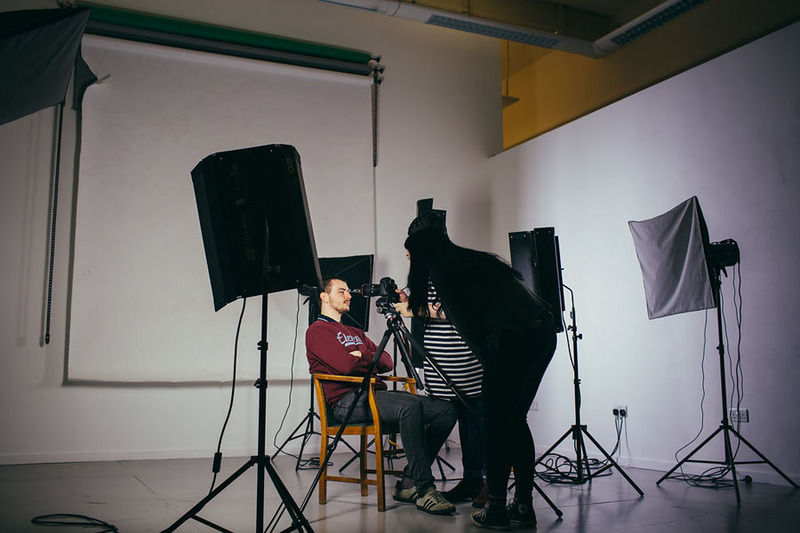 Students Sebastian van Driel and Samantha Rhodes describe why they chose to study fine art at Birmingham City University and what their first year was like. This 14-week module acts as an effective bridge between your prior study and the start of the course recognising the span of the social, cultural and ‘life’ experiences within your cohort. We employ small group tutorials, group critiques, collaborative group activity and contextual lectures, each of which supports this transition, learning and development. 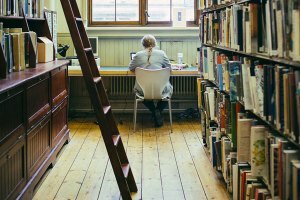 In combination with online library resources, you will introduce you to digital research methods including Moodle and Lynda.com. Themes and Concepts in Art supports and advances the historical and theoretical knowledge that informs your studio practice. It promotes intellectual curiosity and critical reflection to develop your confidence in speaking and writing about art. Using a broad range of different contexts and practice frameworks, this module is designed to help support you towards achieving a self-directed practice through the identification of “themes and concepts” in your own work. Carefully structured sessions will focus on and across approaches to: painting sculpture, drawing, video, film, installation, performance, sound, digital media, photography and print. With the appropriate support, you will also be required to present descriptive accounts and write and submit a 2,000-word essay for assessment. The overarching aim is to introduce the skills and understanding necessary to initiate and organise a self-directed fine art practice in relation to contemporary art and historical precedents. This 13-week core module will enable you to engage, and expand on, the knowledge and skills established in the first two studio-practice modules (supported by your art theory module) to define an individual fine art practice and develop a body of practical work. To help facilitate the above, and provide an initial starting point, there are three over-arching frameworks to identify with. These may include: 1) Art and Other Worlds 2) Art the Subject 3) Art and Intervention. The second year is about further exploration and development, testing out ideas and taking risks. You will strengthen your own fine art identity through experimentation and reflective discussion in the form of individual and group tutorial sessions. You will also engage in a range of live projects, collaborative activities and placements with the additional option of an international exchange. 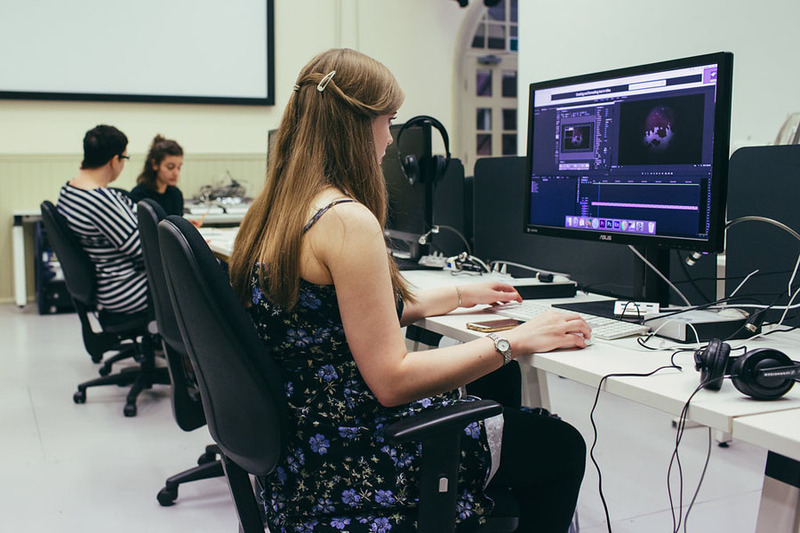 This studio practice module enables you to build upon the technical, practical, analytical and research skills introduced in Level 4. As a further development and progression of L4 Establishing Practice module, it aims to provide the opportunity to reflect upon your prior approaches to art practice (related to both historical precedents and contemporary art practice), and to further explore how methods and materials are related to meaning and context. This module focuses on the way in which people have written and thought about art in the 20th and 21st centuries. From a series of 10 weekly lectures, seminars, film screenings and study visits a series of key themes will emerge, articulated around different ways of being an artist. 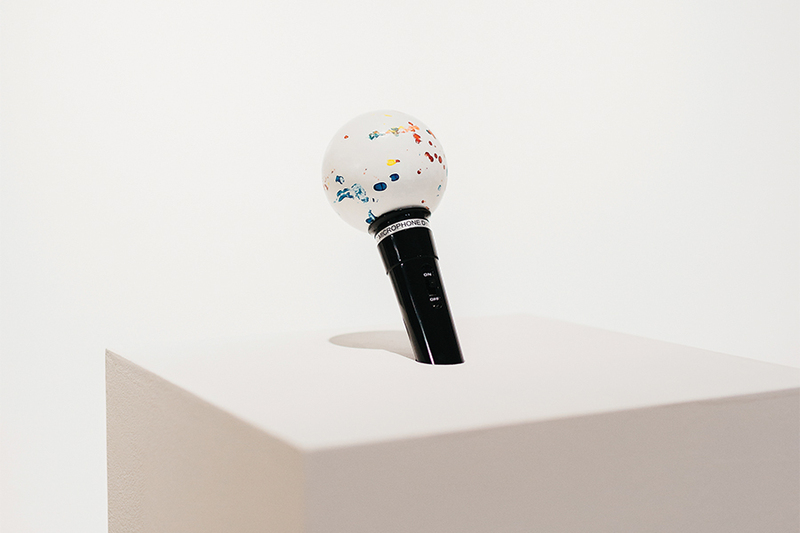 This idea is reflected in the titles of each lecture, ranging from ‘Artist as Revolutionary’, which looks at the relationship between art and politics, to ‘Artist as Digital Native’, which looks at the rise of digital culture within art. In this way the module encourages you to bridge theory and practice, enhancing the historical and theoretical knowledge that informs your studio work. This module enables you to build upon the technical, practical, exploration and experimentation from the previous module and apply further rigorous analysis to speculative practical and contextual enquiry and research. This module also aims to provide you with a critical understanding of the presentation and display of art, the relationship of objects and images to space and audience(s) and the role of networks on developing an audience. This module enables you to build upon the technical, practical, exploration and experimentation from the previous module and apply further rigorous analysis to speculative practical and contextual enquiry and research. Typically, the placement duration is a minimum 70 hours, maximum of 140 hours. This can be achieved in one block, or can be dispersed over a longer period of time, if required. Our Professional Practice modules give you the confidence to consolidate your theory and practice and create a body of work which is a platform for your future career. 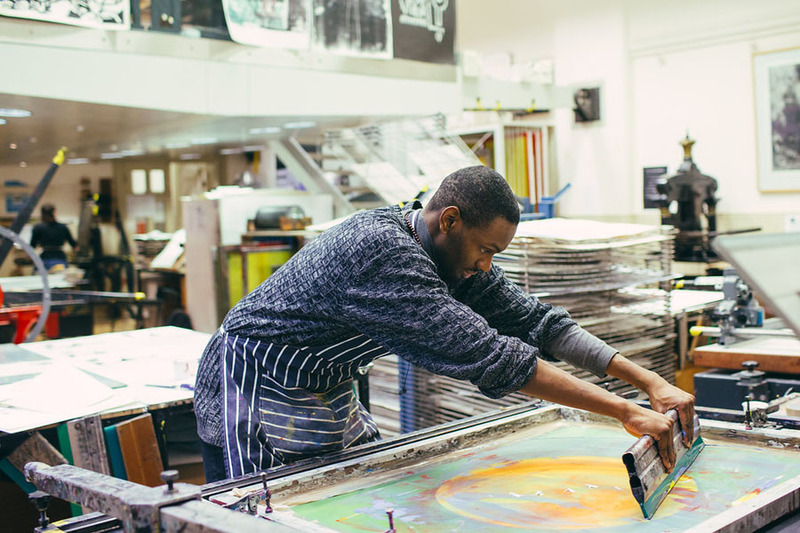 Our graduates include award-winning professional artists, designers, curators, teachers and professionals within Birmingham's thriving creative industries sector and beyond. The Practice and Professional Presentation module builds on the student’s prior imaginative, practical and theoretical investigations. This sustained and extended period of individual self-directed study time requires careful planning and organisation. The module is a necessarily extended period of time allowing for deeper level of learning and for the synthesis of accrued theoretical, creative, technical and practical knowledge and skills. 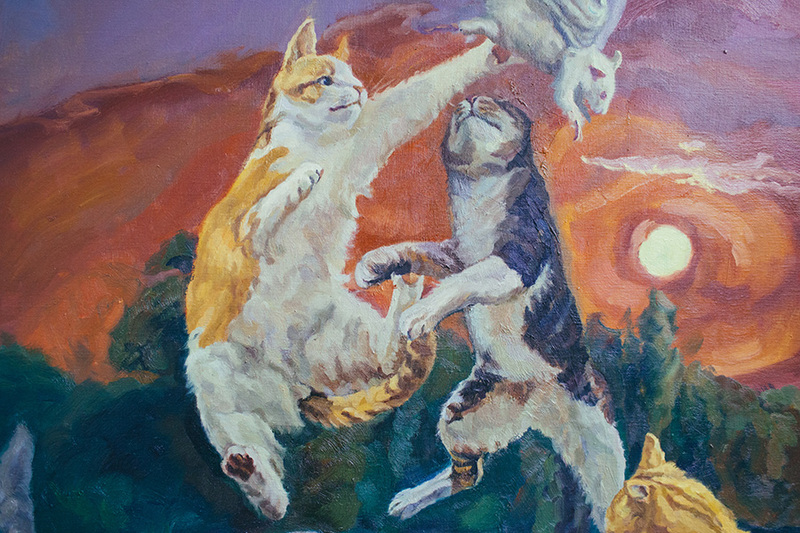 This is consolidated in a fully resolved and coherent body of artwork presented at a professional level. This module enables students to develop, synthesise, consolidate and fully resolve their practice to a professional standard, in the form of a verbal and visual presentation. This module clearly relates to the Practice and Professional Presentation and the Major Project modules, encompassing the content from these to then be realised in a 10-15min ‘pitch’ and an online website portfolio. These transferable skills are highly appropriate to course sequels. On our Fine Art course, you will be encouraged to experiment and investigate ideas which develop your individual creativity. 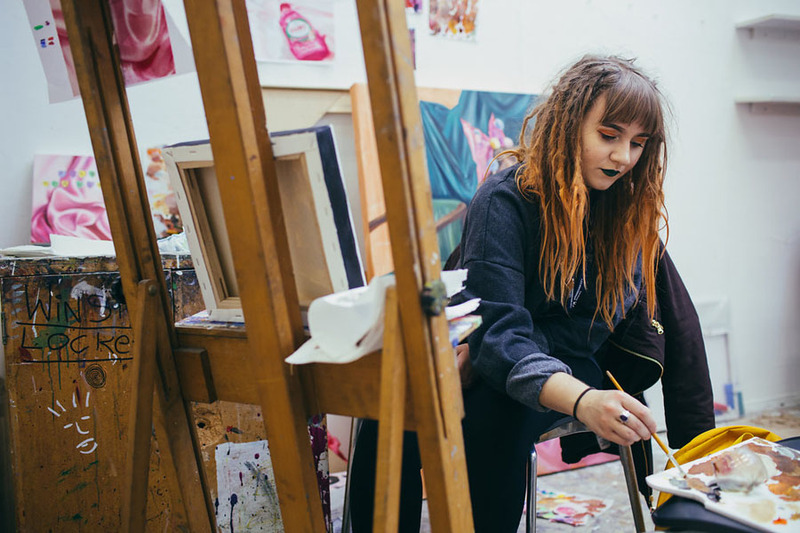 With no rigid pathways, the course gives you the chance to work in areas such as painting, sculpture, printmaking, drawing, photography, film and video. Contact varies between levels, but as a rough guide students will be engaged in lectures, seminars, studio and other guided activities for approximately three days a week. Hope applied for the BA (Hons) Fine Art course with a longing to work in the art industry. 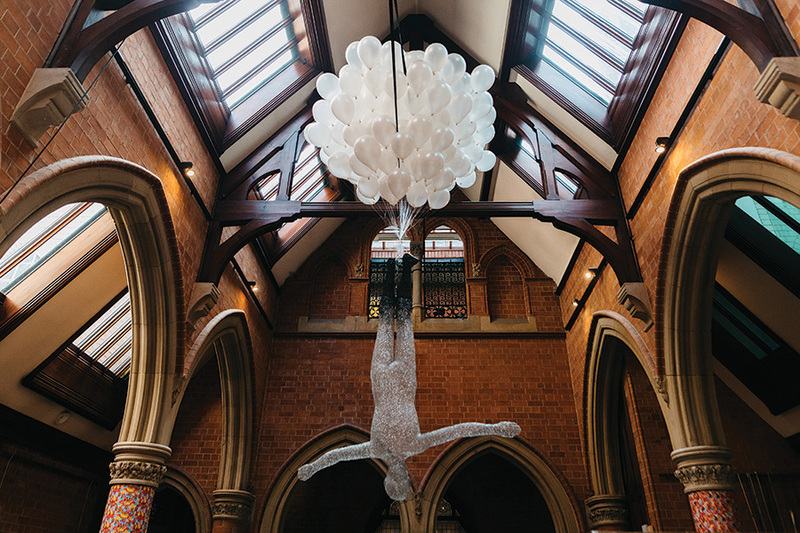 Attracted by the phenomenal up-and-coming art scene in Birmingham, she knew the Birmingham School of Art would offer the perfect environment for her to develop her passion. 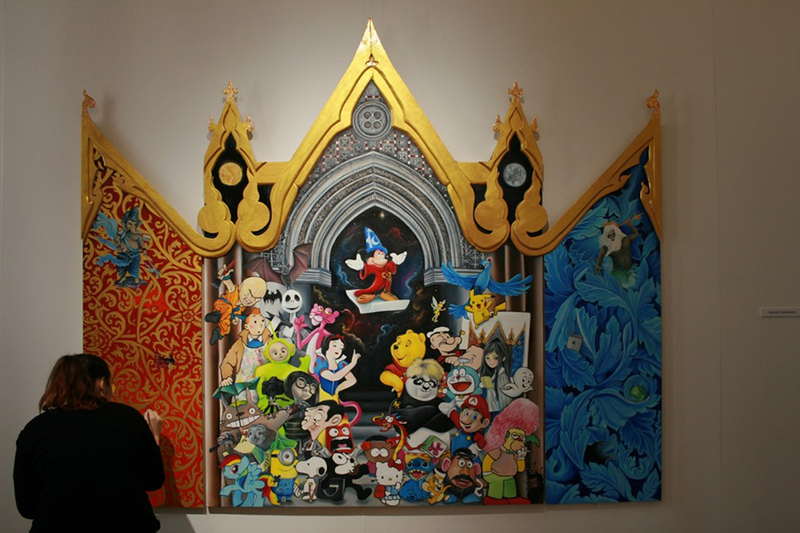 She graduated in 2013 and now works for artist Pryce Lee in property development, filming coordination and modern art. More about Hope. 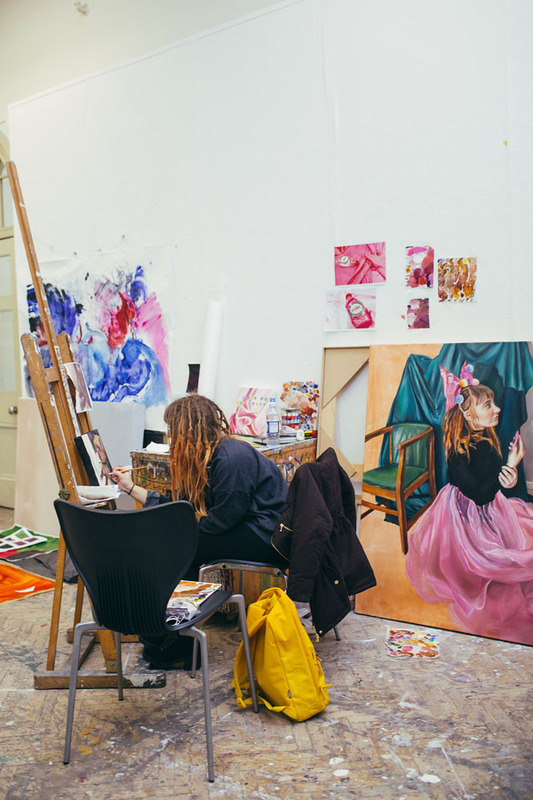 The BA (Hons) Fine Art course offers life skills as well as a degree. You can tailor the course to yourself and write your own briefs. A favourite part of my time at the University was the building itself. There is a lot of space and you have everything you could want. You get to know a lot of people and it becomes like a family . Josephine made the decision to move from Berlin to Birmingham, as the self-directed study seemed to be a much fresher approach to teaching art, compared with local universities. 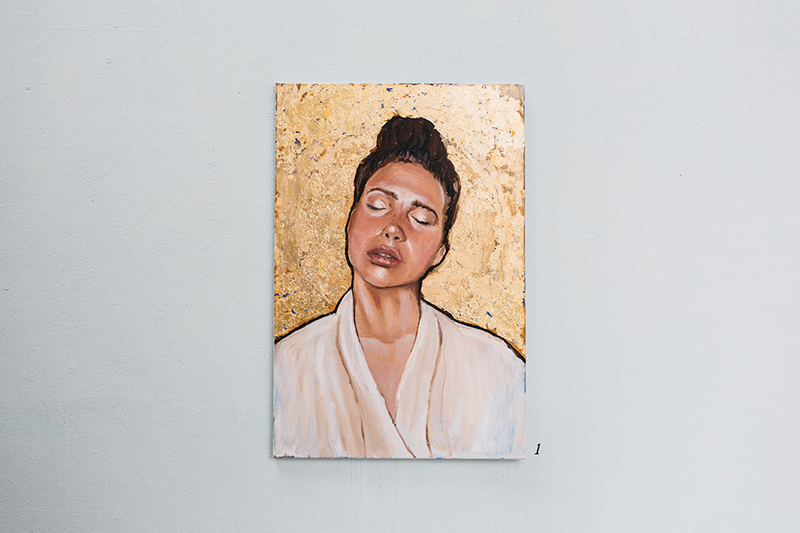 She graduated in 2008 and is now the Director of Ort Gallery, an artist-led gallery space in Birmingham. Read more of Josie's experiences. I loved studying Fine Art at Birmingham City University. 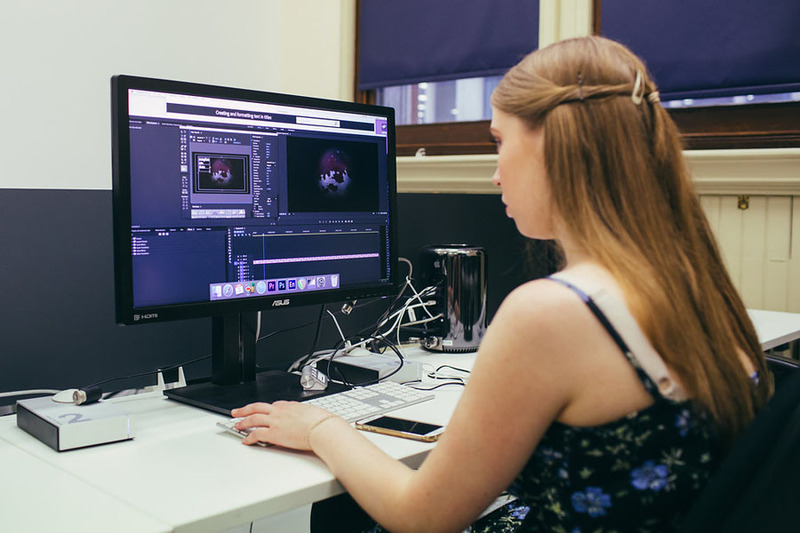 The purpose-built building is perfect for studying art and allowed me to try my hand at a variety of art forms, including making sculptures out of resin and fibreglass and learning about editing suites to create video content. I also enjoyed the community at the school and meeting creative people. Above all, I gained the confidence to do anything. As a creative person I felt I could take on any task and make it a success. "Birmingham is good But the university is Better! I have loved my experience here and met so many new people. IT is better than what I expected. My course is amazing and the lectures are inspiring. My only advice would be to choose this university." We are currently establishing a collaborative partnership with the Hong Kong Design Institute which will lead to future cultural visits and project opportunities. You could progress onto a range of postgraduate studies, including an MA or PGCE. You could also potentially go straight to doctoral research study. 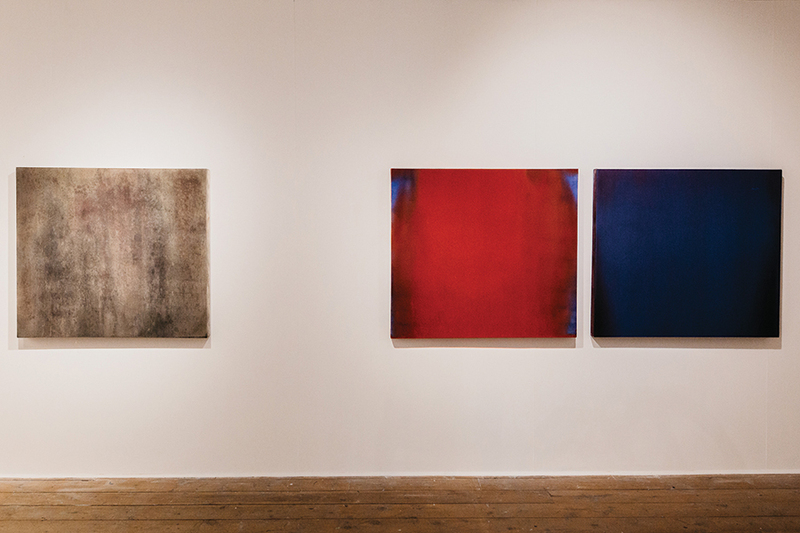 The MA Fine Art programme at Margaret Street is a popular choice among graduating students. For further information on courses Tel: +44 (0)121 331 5595 or go direct to the courses section of the website. 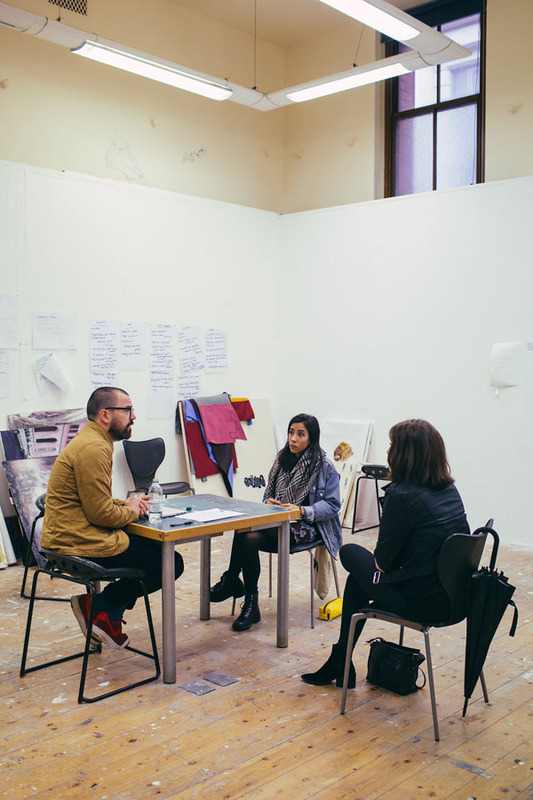 Some students recently visited the Venice Biennale at the beginning of their Level Five studies, and this had a profound effect on their personal practices. Other visits/trips include Berlin, New York, London and Barcelona. Having graduated in Fine Art, Vicki Eggs initially used her passion for photography to create her own range of greetings cards. 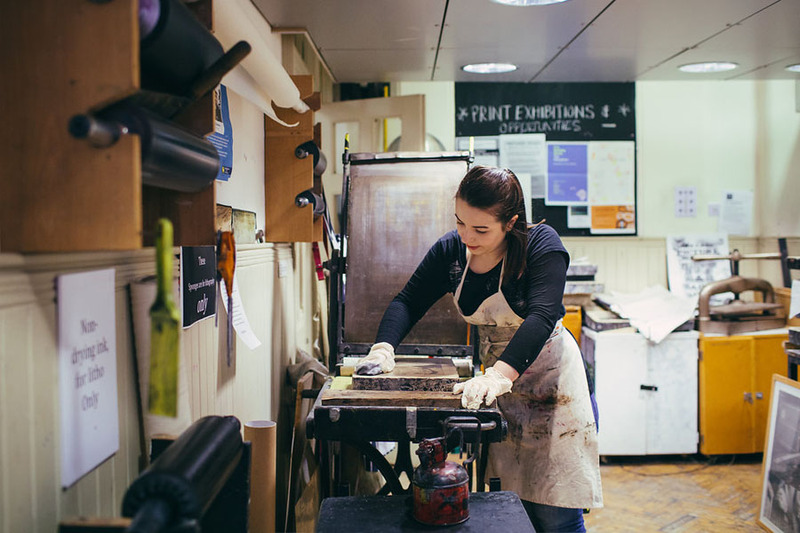 She now runs her own brand, CMYK London, featuring her own eye-catching designs on t-shirts, tea towels, mugs, bags and limited edition screen prints, which are already proving a hit with the buying public. After graduating in 2005 I travelled around the world for eight months, taking literally thousands of photographs, and on my return decided to do something with them. I started making greetings cards and selling them to local shops and galleries in and around my home town of, Royston, Herts, leading me to set up my own greeting card company Ve Gallery in 2006. I then began working for a greetings card company with worldwide distribution. By the time I left two years later, to live in Sydney, I had designed over 200 cards and had developed a photographic style of working. You will learn of range of skills which will be key to enhancing your future employability. Develop your own practice and how to analyse this in relation to future employment options. Identify the relationship of theory to practice and how this can be used to develop your own individual identity. Negotiate, plan, exhibit and present to a professional standard. Be a self-motivated, organised, effective learner. 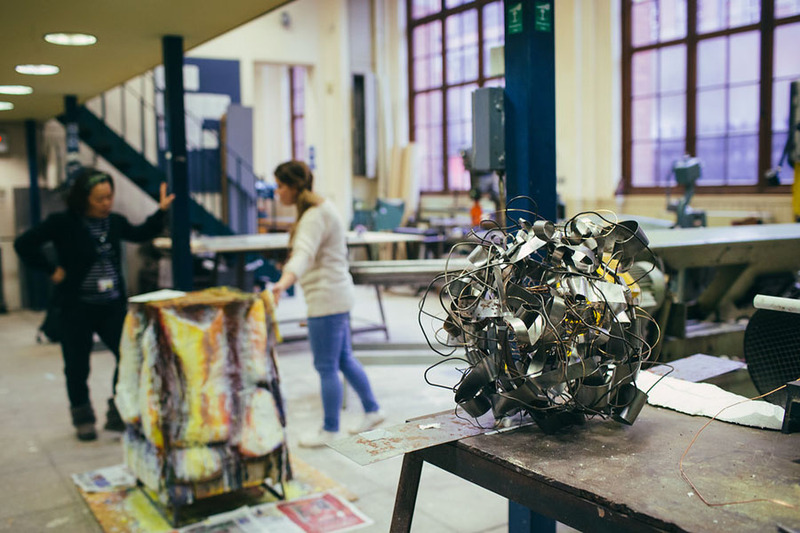 You will also learn skills in a range of workshop practices in relation to individual development, including photography, casting, woodwork, metalwork, silk screen, etching, 3D printing, laser cutting, and printed and constructed textiles. Professional practice guidance will teach you a range of skills such as CV writing; the use of social media and other platforms for self-promotion, presenting yourself and your work in a professional framework using a range of appropriate communication skills, such as video and various types of presentation software. You will have the option of an international exchange, and the opportunity to get involved in a range of projects and placements. Our students have recently been on placements with the Birmingham Repertory Theatre, working with and alongside sculptor Rob Olins on a recent production of ‘The BFG’. Students have also worked with the sound artist, Justin Wiggan, exploring the university archives in relation to the School of Art to create site-specific work. The Fierce Festival and the Flatpack Festival regularly work with our Fine Art students. 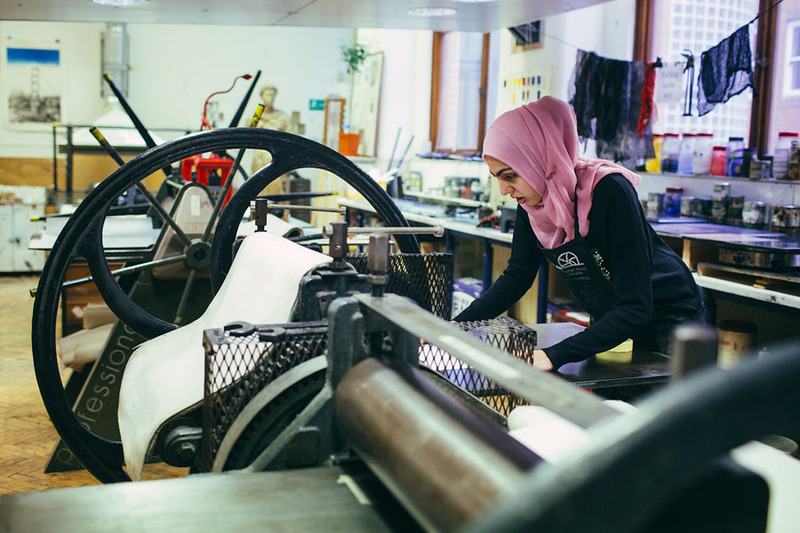 Birmingham School of Art has a wide array of links with partner organisations regionally, nationally and internationally. These partnerships will provide work experience opportunities for you and contribute to your learning and teaching activities. Our overseas partnerships often result in opportunities for you to mix with students from different countries and gain different perspectives, as well as opportunities to undertake a period of study overseas. Regional - Birmingham Museum and Art Gallery, Ikon Gallery, Eastside Projects, Midlands Art Centre, New Walsall Gallery, The Mead Gallery, VIVID, Capsule, Grand Union, Queen Elizabeth Hospital, Birmingham Children’s Hospital, Birmingham Hippodrome, Birmingham Repertory Theatre, Library of Birmingham, and primary and secondary schools across the region. National - Arts Council England, Tate Britain, Tate Modern, Tate Liverpool. International - Established links with other significant institutions both in Europe and the USA, as well as in Canada, Russia and Japan. These include: The Sorbonne, the Metz/Pompidou (France); Studio for Electronic Instrumental Music, The Hague (Netherland); Ars Electronica (Austria); University of Cologne, Free University of Berlin, Leipzig Academy of Art (Germany); University of Ljubljana (Slovenia); MIT List Visual Arts Center, Massachusetts College of Art, California Institute of the Arts, University of California (USA); Pacific Centre for Technology and Culture (Canada); Institute of Advanced Media Arts and Sciences (Japan); The Laboratorium (Russia). With a passion for art and engineering, Luke uses his expertise in both fields to design and build large-scale sculptures that celebrate the Midlands' industrial heritage. He is founder and director of Industrial Heritage Stronghold, a not-for-profit organisation which aims to "build public artworks which celebrate our industrial heritage in a very real way". When I was growing up, I was always artistic and really enjoyed the physical process of making things. I found it very satisfying to see objects take shape, and sculpture was the best way for me to blend my love of the artistic and construction side of design. Matthew graduated last year and is currently studying on an MA Fine Art course. His work was selected at the Fine Art degree show for a £10,000 commission at the Royal Orthopaedic Hospital in Birmingham. Working in collaboration with another student, this work has carefully evolved through consultation with staff and patients and is now complete. Fine Art students like this course because the opportunities for them on graduation are immensely broad, and typically students will have multiple roles and jobs. For example, graduates continue to work as a practitioner while curating and also go on to further study. To be able to do this requires confidence, resourcefulness, flexibility and the ability to respond to, and create, opportunity. View some of the final year students' work from the 2015 Graduate Shows, in this video. You can also see work of the degree shows of 2014, 2013, 2012, 2011 and 2010. Our School is particularly popular with students from China, Hong Kong and Singapore. 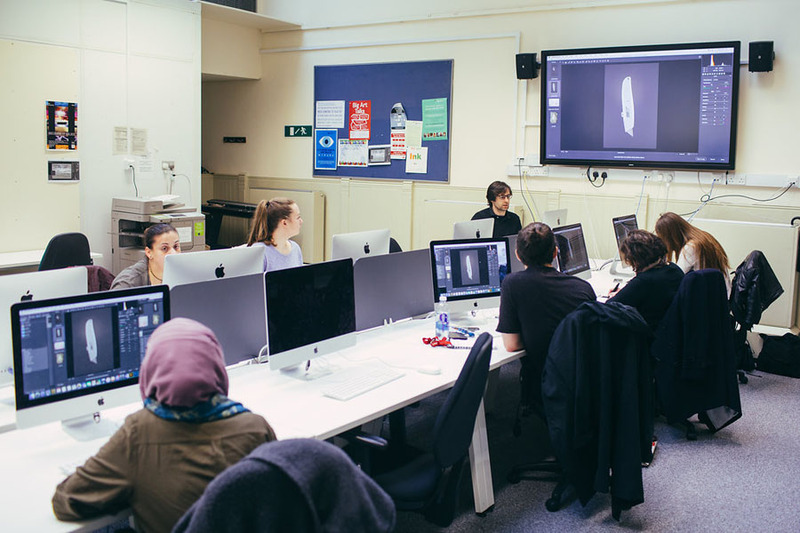 The school has a Visual Art and Culture top-up course at the Hong Kong Design Institute for BA (Hons) Fine Art students, which began in September 2015. Our International Office in Shanghai was established in 2007 and we work hard to develop strong working relationships with countries in Asia. We provide prospective students with a professional and efficient application and student service, and maintain close relationships with former students living in China. We are the UK’s most successful recruiter for art and design in China and Malaysia, and we run courses in Hong Kong and Thailand. 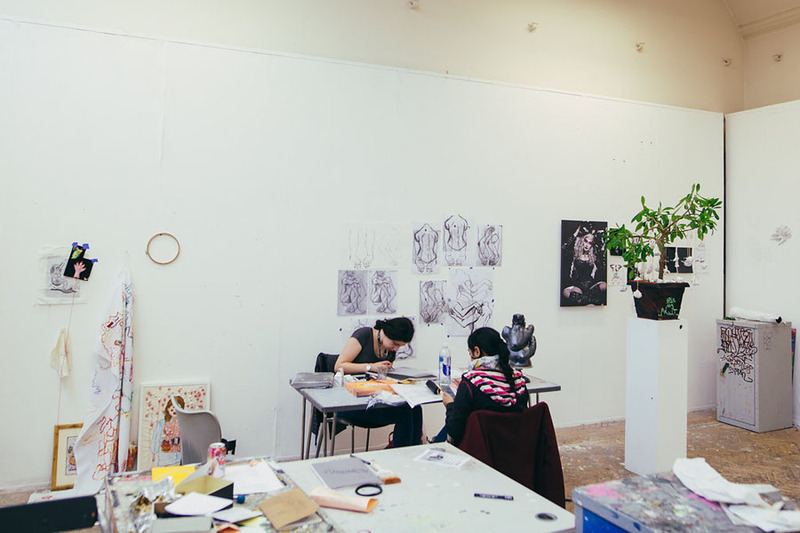 The course provides the ability to study in one of the UK’s oldest art schools. 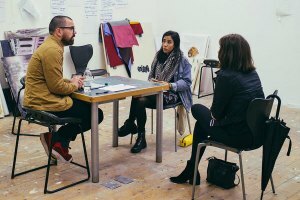 You will learn to develop your own creative practice in a thriving creative community in the heart of the UK’s second city on a course which mixes traditional surroundings with current international debates. The ability to develop your own individual practices alongside a range of local institutions and industries will give a unique insight into the culture and markets of the UK. All of our staff are practising artists, designers and writers, ensuring you will receive access to the latest thinking, activity and professional networks. Franziska Schenk is an artist and researcher with an MA in Fine Art (with Distinction) and First Class Honours degrees in Fine Art (Birmingham City University), and in Art Education (Johann Wolfgang Goethe University, Frankfurt). A well-qualified, experienced Lecturer in Fine Art at Birmingham City University and Honorary Research Associate at the University of Birmingham. She is initiator of, and principal investigator on, funded art and science projects focusing on the conversion of nature’s iridescent colour to the painter’s palette – thereby introducing flow, dynamism, transience and an evolutionary element into painting. 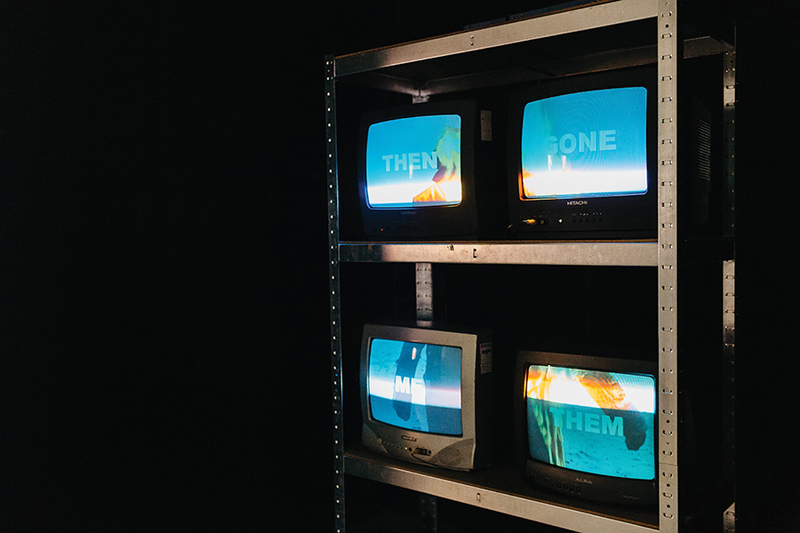 Lee is an artist, designer, researcher and lecturer who works across a range of disciplines including sculpture, books/publications, web technologies, photography and moving image. Lee has worked on a range of funded research projects, edited journals and also has teaching experience covering a broad range of levels and subject areas including Fine Art, Art and Design and MA modules. He is currently undertaking a practice-led PhD at the Royal College of Art. Demitrios Kargotis works as part of the design action group Dash n’ Dem. Since 2010, their wide-ranging participatory projects centre on popular education and critical and creative citizenship participation. The open-ended, collaborative structure of their practice explores how co-creation can act as a form of activism that empowers different audiences to confront and reimagine reality. Dash n’ Dem make work that aims to make politics more assessable and engaging. For instance, providing a group of teenagers at the South London Gallery with a David Cameron lookalike to take over and create their own party political broadcast in the run up to the 2015 UK general election. Or, revisiting an 80’s post-punk compilation cassette Dump it on Parliament produced in opposition to a proposed nuclear waste dump in Bedfordshire, inviting emerging bands today to develop cover versions and write new songs of protest. Demitrios is also a founding member of Post Workers Theatre (PWT), a collective of designers and artists who produce projects that consider what politically engaged performance could be, utilising democratic forms of production to co-author creative outcomes with a variety of community and educational groups. Their creative goal is to reconsider the history and function of worker’s theatre of the past, and the current conditions for workers today through political, technological and social lenses. The aim is produce projects that can highlight future facing issues of social equality and alternative ways to discuss important issues. John Wigley is a graduate of the Sculpture School of the Royal College of Art and scholar of the British School of Rome, with interests in film and object making, exploring temporality and ‘still lives’. He has exhibited in the UK, Europe and USA. He is a working artist, a maker and assembler of objects. He is interested in both the role of an artist and the intellectual and physical space required to develop and sustain a practice. He teaches into the undergraduate BA (Hons) Fine Art course on the first and second year Establishing and Developing Practice modules, as well as the final year Professional Portfolio module. He is also module leader for two new modules: Collaborative Project and Collaborative Practice. They introduce interdisciplinary practice, where the cross-course sharing of knowledge and skills ensure that students have the experience of working effectively in ‘mixed’ teams. It involves some innovative learning and teaching, including the use of online teaching platforms. Linda Stupart is an artist, writer, and educator from Cape Town, South Africa. They completed their PhD at Goldsmiths in 2016, with a project engaged in new considerations of objectification and abjection. They are interested in the possibilities for writing and making discrete grounded encounters with different kinds of bodies (of knowledge, objects, affect as well as corporeal bodies) as a way to think through less alienated ways of living and thinking together. This comes out of encounters with feminist art, postcolonial, ecological, queer and affect theory, as well as embodied and object-based critical institutional encounters. 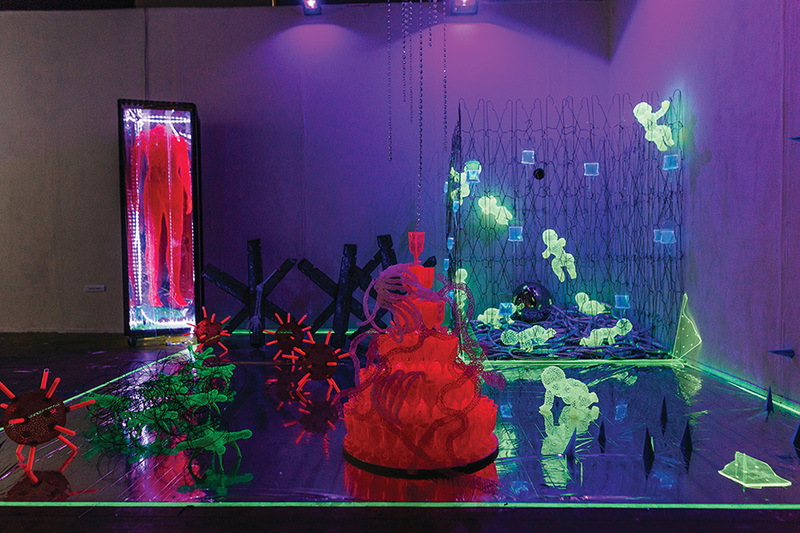 Their current work consists of writing, performance, curation, sculpture, drawing, and installation and engages with science fiction, environmental crises, magic, language, desire, and revenge. Cathy is an artist, writer and academic whose work is concerned with how art can be created and distributed in collaborative partnerships and through the creation of commons. 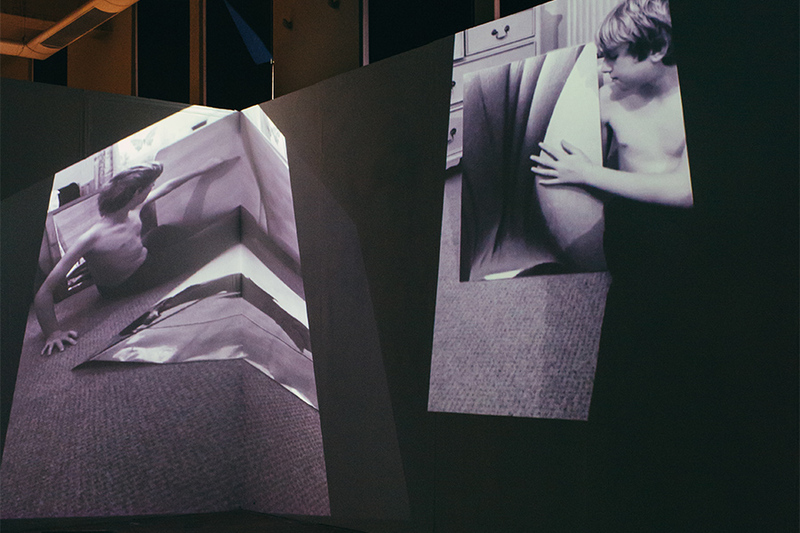 Her work seeks to understand the experience of contemporary conditions through social practice and is realised as digital video, print, installation, public art, publication, text, drawing, performance and participatory works.